When you think of natural health supplements, you don’t often think of the soil our food grows in independently of the food itself and the role it can play in your overall well-being. One compound found in that soil in particular has been of particular interest to researchers--fulvic acid. Fulvic acid is a major component of organic matter found naturally in soil. It is released as organic matter decomposes. When plants or other living organisms such as human beings absorb fulvic acid, nutrient uptake becomes more efficient and energy production increases. When you take a closer look at the compounds contained in fulvic acid, the health benefits are not really surprising. Fulvic acid is not a single substance but rather a complex of related components including hormones, fatty acids, ketones, flavonoids, vitamins, and minerals, as well as its close cousin: humic acid. One of the most beneficial traits of fulvic acid is its role as a chelating agent, working to remove toxic heavy metals from the body. Fulvic acid actually “grabs” the heavy metals and carries them to the liver to be processed out of the body, making it a vital part of the heavy metal detoxification process. This is one of the reasons you can find fulvic acid in Jon Barron’s Metal Magic formula. The other key health benefit of fulvic acid is its ability to help the body assimilate nutrients. Since fulvic acid is naturally high in electrolytes and antioxidants, it can help transport nutrients throughout the body and across cell walls and increases your body’s ability to actually absorb them as well. Traditionally, we would be exposed to fulvic acid in our food supply--particularly from root vegetables, bulbs, tubers, and rhizomes that grown in the ground. However, with our modern agricultural methods, we have stripped increasing amounts of nutrients from the soil in which the food we eat grows, which prevents truly rich fulvic acid from ever forming. In addition, high-power industrial washing of fruits and vegetables strips away any fulvic acid that might be clinging to that produce from where it was grown. It also should be noted that in addition to helping absorb nutrients, fulvic acid helps with the mineral absorption process. Fulvic acid can help the body decide which minerals it should keep in and out of the cell in order to ensure proper cell balance and functionality. Its ability to transport nutrients may also help your body stay healthier and have more energy. When there isn’t enough fulvic acid present in our body, it can be difficult for cells to absorb key minerals like iron, calcium and magnesium. These deficiencies can be exacerbated when there is a loss of fluids, emotional stress, loss of sleep or poor eating habits. The electrolytes found in fulvic acid help improve the electric balance of your cells. This in turn helps improve your body’s ability to fight sickness and weakness, as well as help increase your overall energy levels. Want to know more? 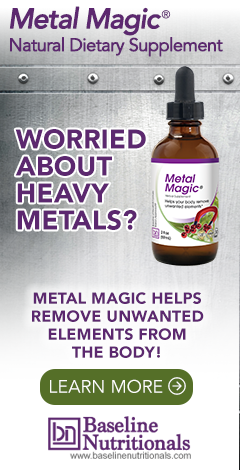 Discover more about heavy metal cleansing.